Microchip started marketing an Arduino clone called chipKit. 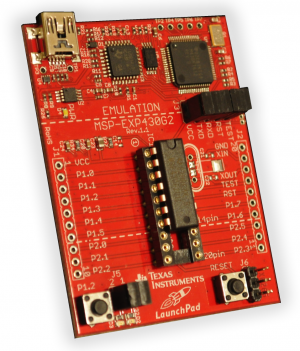 Is this a correct decision to clone an open source platform as opposed to Texas Instrument's decision to create it's own platform LaunchPad ? By the way the TI's platform is really cheap, I would say cheaper than components and PCB + shipping. Obviously TI wants more people to use it, however what it is lacking is the relaxed open-source crowd around it. Is Arduino really something to follow ? What do you think ? After some time with the Arduino, I faced with insufficient resources, either memory or processing power. 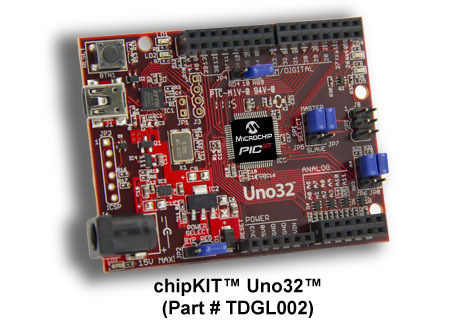 So I went for the chipKIT UNO32 designed by Diligent and built around the 80 MHz Microchip® PIC32MX320F128 with 32-bit, 128K Flash, 16K SRAM. At roughly the same price as the Uno, this is terrific value. The programming IDE is exactly the same as for the Arduino, except it handles both AVR and PIC32-based environments through the selection of the board. It is called mpide for multi-platform IDE. Software and hardware compatibility is better than expected. See my website for more on that. I have no experience on the TI’s platform, but you get what you pay 2K Flash and 128 bytes of RAM.